Second poem by Zhang Suning, inspired by the events during earthquake rescue operation. 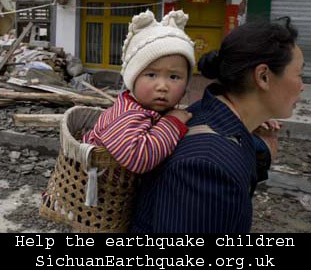 Zhang Suning recited the poem during the Edinburgh charity auction for the earthquake children. 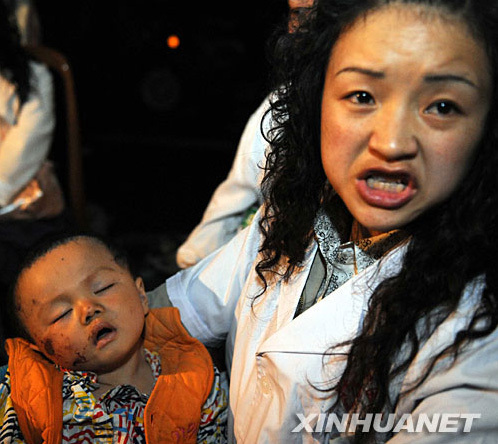 When the rescuers found her, she had died, killed by the house that collapsed. She died in a very unusual posture. She was kneeling on the floor, the whole upper body stretched forward with her arms supporting her whole body. The posture looked like the kneeling Koutou etiquette in ancient China, but her body was completely distorted by the pressure. When people cleared away the rubble around her, they found a baby was lying underneath her body, wrapped up in a small red blanket with golden patterns. The baby was about 3, 4 months old. Because of the protection from his mother’s body, he was still peacefully asleep when found. The rescuing doctor found a mobile phone inside the blanket, and on the screen of the phone, there was a message ‘My darling baby, if you survive, please remember I love you’. Posted in Stories | 4 Comments » | Read more..
Poem by Zhang Suning: Is any survivor here this child’s family member? 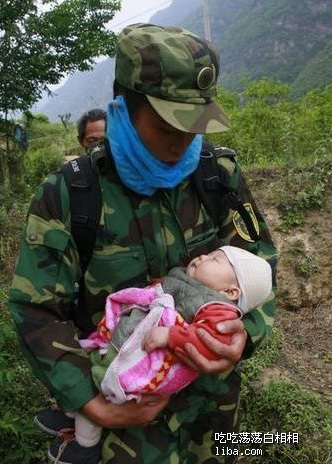 A poem written by Zhang Suning, inspired by the events in the rescue operation. Zhang Suning recited the poem during the Edinburgh charity auction. Posted in Stories | 39 Comments » | Read more..